Lot: This is a large sized park. The lots are gravel based but level. 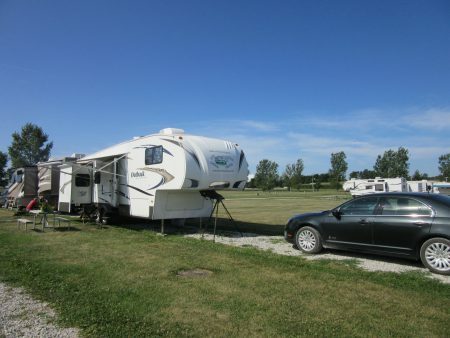 Lots are all pull through, but are long enough for two RV’s. 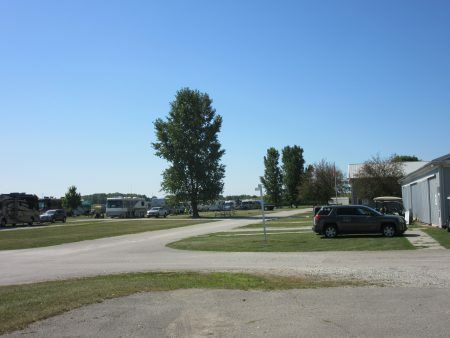 So if you are the first RV there you can pull through if you are the second RV in that lot you will have to back in. The park is maintained nicely, but has few mature trees. Other Conveniences: Showers, Bathrooms, Laundry, Camp Store, Propane. Other Inconveniences: No Fenced in Dog Walk Area, No Playground for kids. 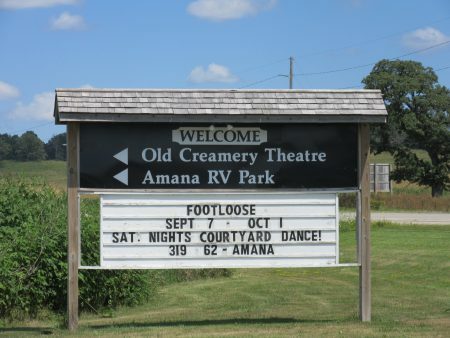 Positives: The Park is located about in the Amana Colonies and about a mile from Amana (the main Colony) where there is ample eating and shopping venues, and where you can board a van for a tour of the other colonies. The Park is very large with large meeting rooms sufficient for rallies of any size. We were there while they were having the Family Motor Coach Association (FMCA) Rally with about 200 Class A’s on site. Negatives: The park is in a touristy area where the prices can be a bit more. 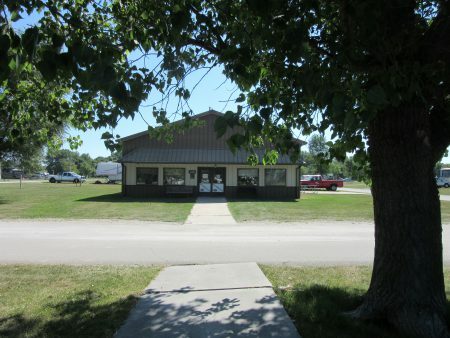 A trip to the nearest town, Cedar Rapids, is about 20 minutes one way. 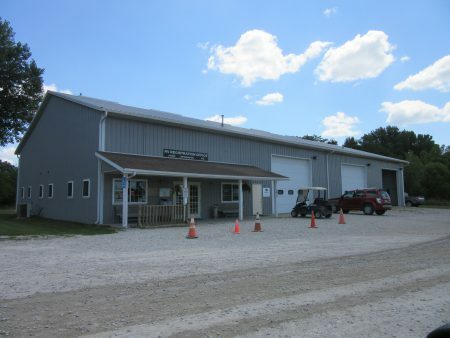 The lack of trees hinders the ability to stay outside during the summer but if you park here most of your time would be spent enjoying the Amana Colonies, so that may not be too bad. This park would be good for a 3-4 day to a week stay. Enjoying the Amana’s can be completed during that time and that would be the best reason to stay here. 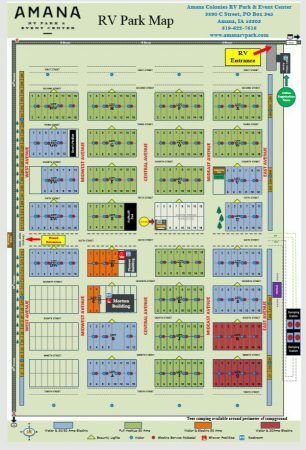 The park is built to accommodate large rallies and that would be another reason to stay 3 days to a week. Our Post about the Amana Colonies can be found here.